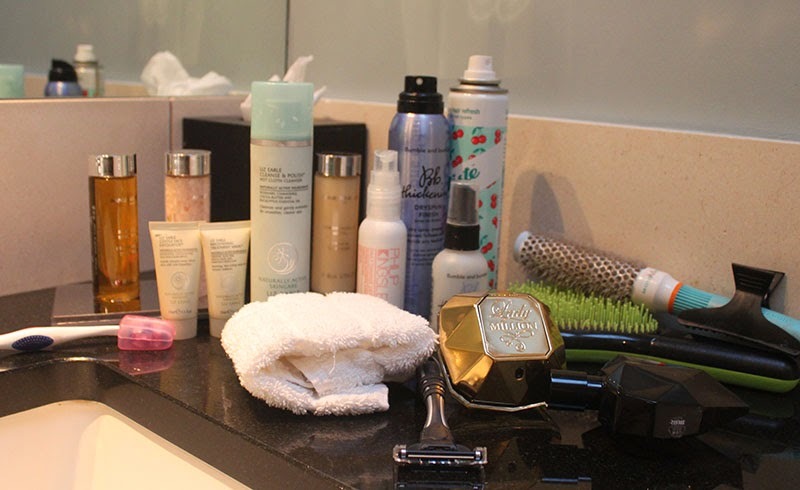 Although holidays are relaxing mine was actually quite busy and no where near as relaxing as I’d hoped, I also tried not to pack too many beauty products which meant my pampering treat products had to stay behind. I’m a bath person so after a whole month worth of showers I couldn’t wait for a long relaxing bath and used one of my Aromatherapy Associates Oils £33. I relaxed in the bath with the new Hello! Fashion Monthly Magazine which I think is worth mentioning as I’d stopped buying magazines as I simply think they’re getting too expensive but at £1 monthly it’s actually a really nice fashion magazine with great beauty pages. Over the summer I found that the ends of my hair were getting a little dry due to the blonde and therefore went for the Tigi Catwalk Violet Mask for some TLC. I also find my hair sometimes goes into shock when making the transition back to hard water after four weeks of soft water and for this I always go back to Nioxin Diaboost £28.35 to help encourage hair growth and I use this for a few months. To help get my hair a little shinier and protected I’ve been using the Beauty Protector Protect & Oil £16 on wet hair. Since my skin has been in the sun a little it’s also been feeling a little dry on both my face and body. On my face I used the Gazelli Volcanic Mud Mask £40 and Neals Yard Beauty Sleep Concentrate £31.50 an overnight treatment which is also beautifully relaxing in the evening. I’ve been alternativing between Jurlique Rose Body Oil £38 and Soap & Glory Smoothie Star £10.50 depending on the time of the day. Soap & Glory Smoothie Star is my favourite for during the day although Jurlique Rose Body Oil is an absolutely beautiful treatment for the evening. On my nails I’ve been reaching for the Nails Inc Gel Effect polish in Uptown £14, the colour is beautiful, super shiny and lasts a little longer than normal polish which is exactly what I look for. 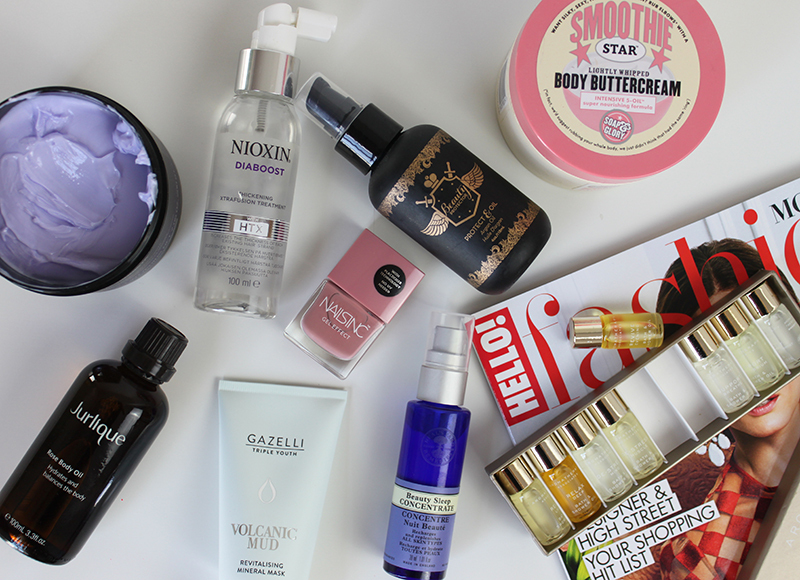 How do you spend your post holiday pampering time? Just over a month ago I spoke about Nioxin hair treatment and now just over 30 days I think it’s time to touch base to share my experience. When I was first offered the treatment I was a little worried that it could possibly be too strong for my hair and possibly make it worse. However, I thought I would never find out unless I tried it and started using the three step treatment every time I washed my hair. The at home treatment consist of a shampoo, conditioner and scalp treatment spray. 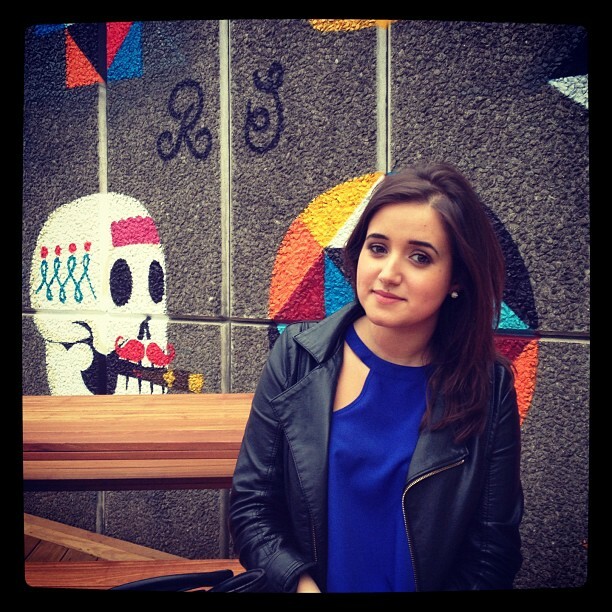 There are five variations of the treatments depending on your hair type and whether it has been coloured or not. Originally I got given the box number 5 however I feared that it could possibly be too strong and asked for a number 1 aimed at thin natural (non-coloured) hair. The shampoo and conditioner is used as you would any other, my kit made my head tingle a little but I have heard that not all the kits does this. Although some people may find this quite unusual it isn’t painful and begins to feel quite normal after a while. I used the conditioner simply on my ends and if you too have thin hair I would recommend doing the same. The other thing to note is you don’t need to much of this shampoo, just work it into your hair quite well- the bottle is quite small but has lasted me a long time considering I still have quite a lot left. 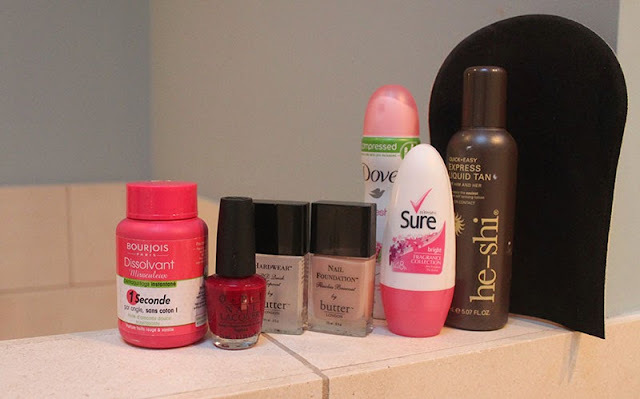 I then follow my shampoo and conditioner with the scalp treatment once after the bath and having let my hair dry a bit. I concentrate it on my scalp especially where I think my hair is slightly thinner and then follow withh any other hair products and blow dry my hair. I half don’t want to sit here and say that I actually think this works having used it for just over a month but in all honest I really think it does. It claims that after 30 days you will see a difference and although it may not be a major difference that can be seen by anyone else, I am much happier with my hair. My hair has grown quite a lot in the last month, I think it feels fuller and healthier. I would continue using this shampoo although I would swap it in with a different shampoo every now and then. I actually think I will repurchase this soon (although maybe not instantly) which is saying something as I usually just use which ever shampoo is to hand. Read my initial thought of Nioxin here and the at home kit is available to buy from Feelunique and Michael John. The kit retails for just under £24 and I would really recommend trying it if you have thin hair and are looking for some added thickness or hoping to grow it a little. On Wednesday I spent the day pampering and in the evening I went to Michael John Salon for a scalp treatment which claims to do exactly what I want from my hair! When I was told I could have treatment I done a little brief research into it and read that some people experienced great results. Nioxin is a Scalp Renew Dermabrasion Treatment which claims to be great for people with fine hair, thinning hair and coloured hair. The result is suppose to be thicker, healthier hair that grows quicker. Sounds great right? I’m not too sure why but I was a little scared of having this done and was wondering if it would be too strong for my already fine hair but I decided to bite the bullet as it is just shampoo. 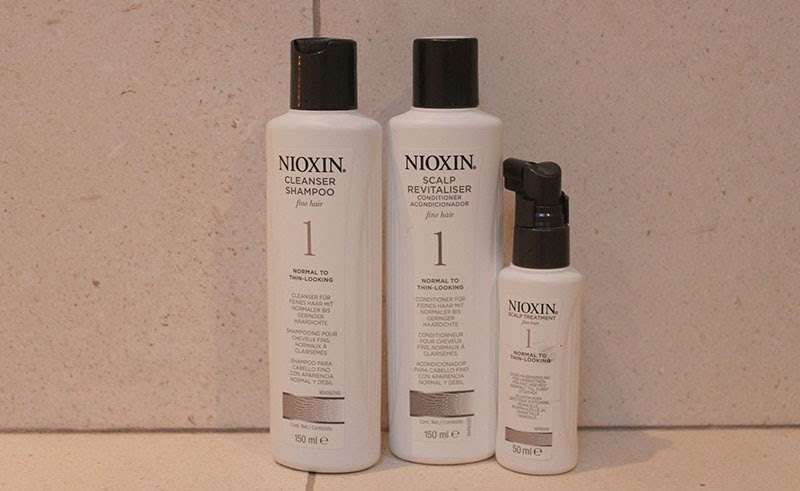 The Nioxin Cleanser System starts with a double shampoo which just removes any build up, the Scalp Renew Dermabrasion treatment is then applied and was left on for 5 minutes. You too get a slight tingly sensation (like if you use a minty shampoo) they call this set the hair facial, it brings blood up to yours scalp and unclogs pores just like a facial does. The last step is the Deep Repair Masque which helps repair the hair- I then went on to a blow dry. The blow dry was really nice and left my hair soft and wavy, please excuse the picture inserted- I had just had a facial and therefore had no makeup on, a full faced picture with no makeup wasn’t really an option. However yesterday my hair felt extra amazing and I can’t wait to keep trying it out. My hair feels really lovely at the moment and I am going to try the Nioxin hair system kit over the next 30 days. 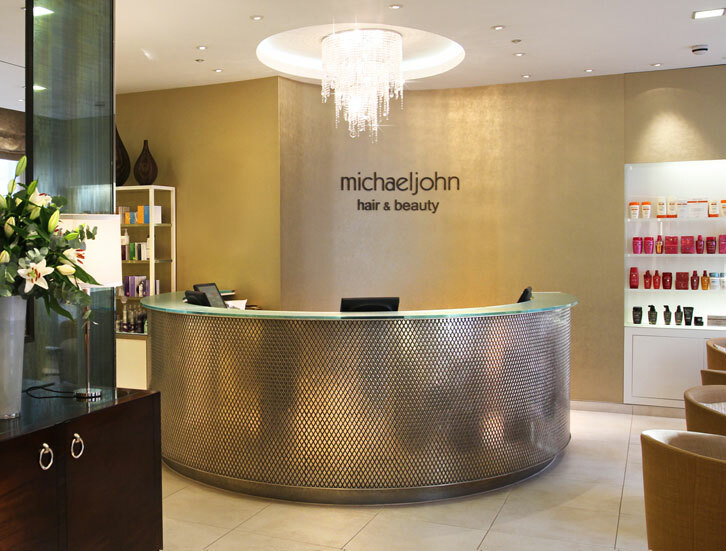 As always I will keep you updated- this treatment is available for £45 from Michael John. What new hair products have you been trying recently? Have you ever tried Nioxin?